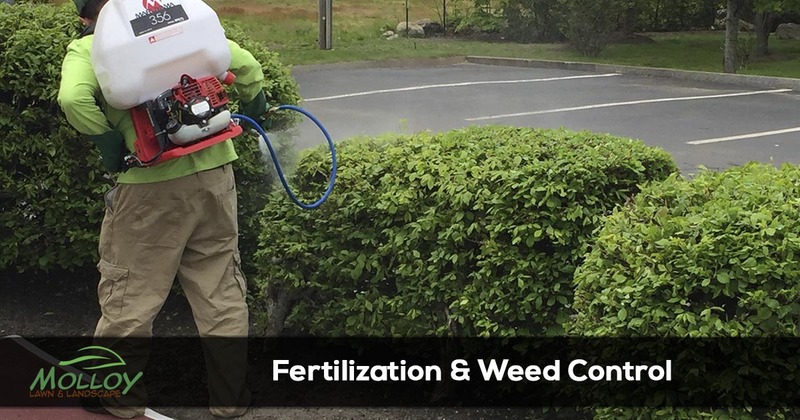 Embracing a pro-active, eco-friendly approach to plant and turf care, Molloy lawn care professionals have decades of collective experience managing New England's foliar. Our Healthy Care Programs preserve the beauty of your landscape while protecting your investment and enhancing curb appeal of your residence or commercial property. Our fertilization products for lawns, plants, and trees are all organic sea and plant based nutrients. We are excited to have added compost tea applications to the program. We are going back to the original, sustainable agricultural practices that have been replaced by high salt / high ammonia chemical based fertilizers and over use of pesticides. We highly recommend a soil sample so we can see where your soil is at and design a program for you. Compost tea is an aerobic water solution that has extracted the microbe population from compost along with the nutrients. It is a concentrated liquid created by a process to increase the numbers of beneficial organisms as an organic approach to plant/soil care. Making nutrients more available and reducing acidity. For the best lawn care services in Milton, Braintree, Hingham and the Canton area call Molloy Lawn & Landscape today at 617-333-6900.